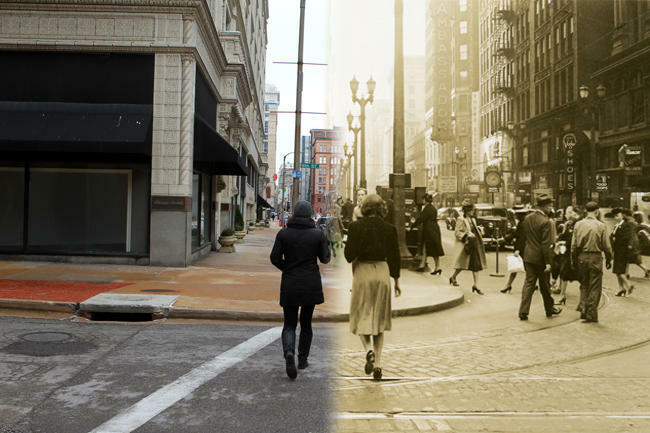 Photo illustration of two women crossing the street at 6th and Locust, on the right, in 1940 and on the left in 2014. Find an old photo and then take one of the place now. When you send the pair, include where you got the old picture and what information you know about it. We'll work on getting permission for the original so we can share your results. 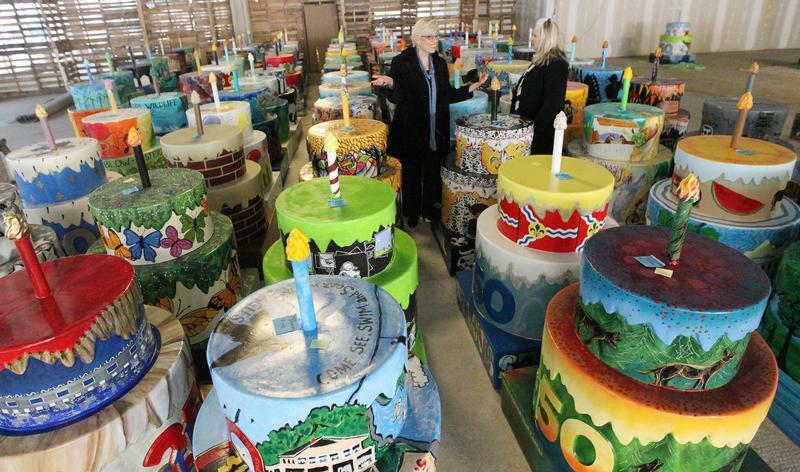 As the celebration of the area's 250th birthday continues, we will print more old and new pairs and would like to include works by our readers.